Anyway, three and a half weeks before Stefani was born, Bon Jovi was coming to my town. This time, they were the headliner, and their opening act was Skid Row. 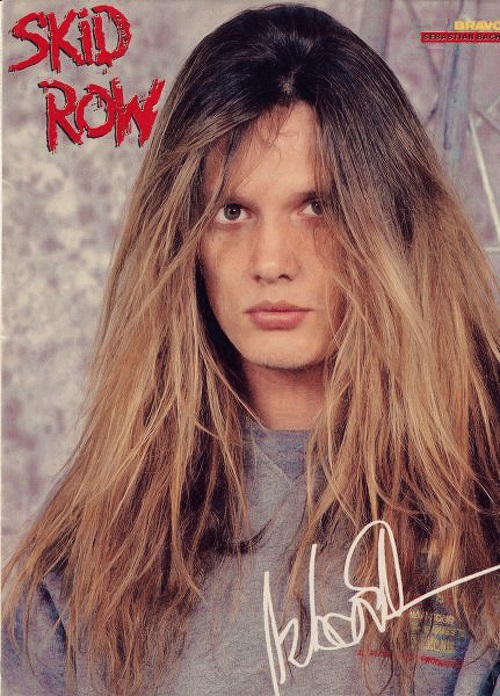 I liked Skid Row, but I LOVED Bon Jovi. A friend worked at the venue where they were to perform and offered me tickets, but I didn’t think that being pregnant, it would be such a good idea to go. So, a few days before Bon Jovi came to town, I had a dream that I got to meet Jon Bon Jovi again and that I was in a tour bus partying with him as well as a couple of members of Def Leppard who I used to like before Bon Jovi came out, (but unlike Bon Jovi, I was over Def Leppard). It was a nice dream, but I didn’t think much more about it. The day of the concert, two of my friends called me and asked me again if I wanted to go to the concert. Of course I wanted to, but I just didn’t think it was a good idea, so I told them no. Then they suggested that we go and hang out behind the venue. We could still hear the show and perhaps we could see the bands arrive and go in the back. That sounded like a lot more fun than all the puking I’d been doing for the previous eight months, so that’s what we did. I wore my black spandex, a black t-shirt, and black boots, and my hair was sufficiently “big.” (It was the eighties.) Because I was so sickly during my pregnancy, I was “nothing but baby,” and from the back, one couldn’t even tell I was pregnant. I was excited! I felt so stupid! Once again, that was a kick-myself moment that I wish I could go back in time and do differently! So, though my dream prediction was a bit skewed, it was still a fun time, sans the slapping of Mr. Bach. It was definitely freaky that Rick Allen was there after I randomly dreamed that I’d party with Def Leppard! And to this day, since Stefani’s father is such a piece of work, she and I always joke that Sebastian Bach is her “real” father. Time to talk: What’s your favorite song by either Bon Jovi, Skid Row, or Def Leppard? Would you go to a concert while pregnant? Would you ever worry so much about what your neighbors thought that you’d make your daughter pretend she wasn’t pregnant?